He's a founding member of progressive-punk trailblazers At the Drive-In, as well as a prolific solo artist, writer, actor and director. The Mars Volta have unveiled yet another track from their upcoming album, Noctourniquet. Stream “Zed And Two Naughts” below. 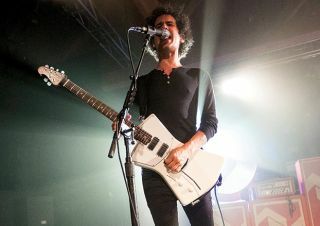 At the Drive-In fans who were hoping the band's reunion would lead to a new album might want to sit down for this one. It's that time of the year again: Time to announce the headliners for Coachella and watch the ticket prices to anywhere within 500 miles of Indio, California skyrocket for mid April.